Each year I find myself in NYC a handful of times and somehow (knock on wood) I’m still so in love with it, perhaps even more so enamoured by every visit. This year I took my mum to New York for her first time and quickly realised my last few visits were with girlfriends. 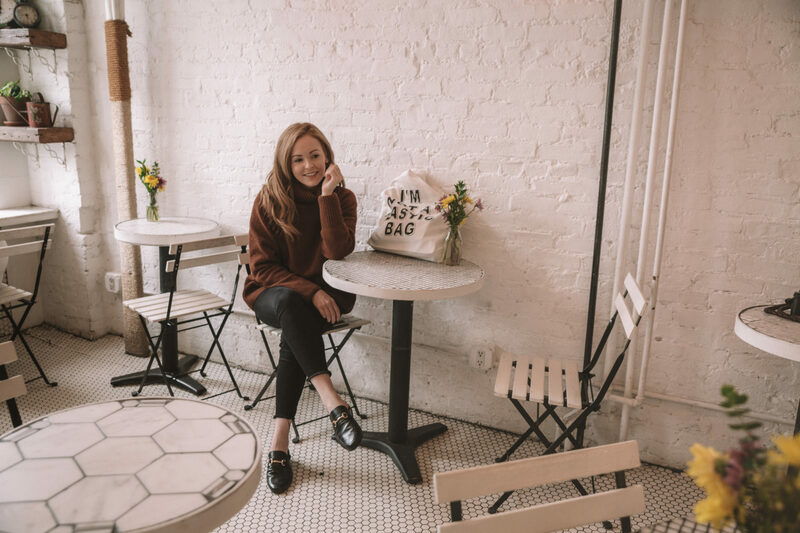 From Broadway shows to the best dessert spots in town, I’ve quickly become well versed in how to make the most of a girls trip to New York City… here’s the complete guide! It doesn’t matter how many times I visit New York City, I’m always going to attend at least one new Broadway show on every visit. On my most recent visit with my mum I handed her the reigns and let her choose a musical and boy, did Beautiful not disappoint. There are so many shows I could recommend (trust me, I’ve almost seen them all – eeek!) but the below are some of my favourite for a girls night out. 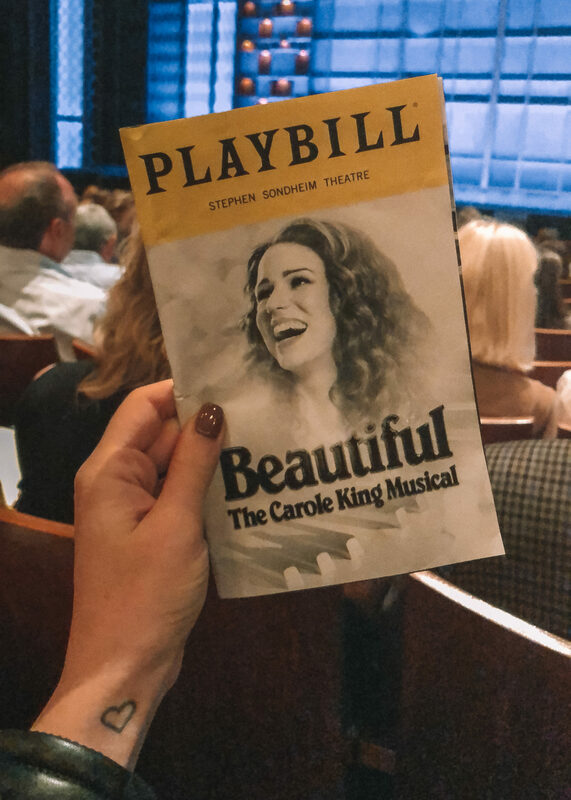 The best show I saw on this trip to the city with my mum was a show that has been on Broadway for quite some time and for one reason or another, it had never been at the top of my “to see” list – how wrong I was. I enjoyed this show so much and both my mum and I found ourselves singing along to almost the entire show, with hits like Natural Woman giving me chills…. CHILLS! As one of my favourite films of all time, I knew Pretty Woman would be a show I would love before I’d even walked in to the theatre. This is the perfect choice for a girls night out and I can highly recommend dropping by Salon De Ning for a rooftop cocktail beforehand. Anyone who knows me or has read my blog for a while will know I have a next level sweet tooth and New York City is perhaps the one single city in the world that takes that sweet tooth to another level (and then some). 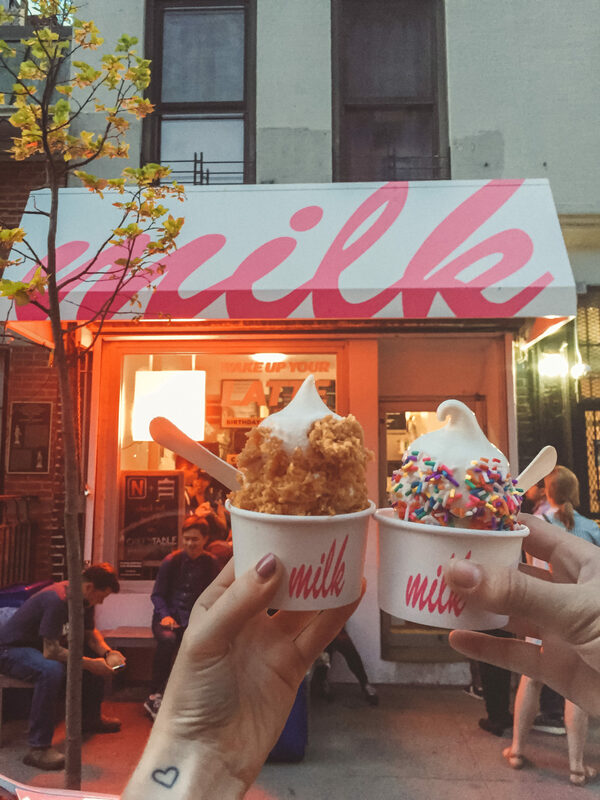 Some of my favourite desserts and dessert bars are located in the city but it is Milk Bar that gets me every time – I just can’t come to the city without having the cereal milk ice cream at least once! Flat Iron Building – This 22-story triangular building has become an iconic landmark for the city and the unique architecture makes it easy to see why. While you can only look at the building from the outside, it is one of those classic NYC spots not to be missed. Whilst in the area take a walk through Madison Square Park and if you visit during the Spring, look out for the cherry blossoms! Grand Central Terminal – Nearby on the east side of Midtown is Grand Central Terminal, one of the city’s most visited landmarks both by tourists and locals alike. After you’ve checked out the main concourse head over to the The Campbell bar for one of the most charismatic bar settings in midtown. The High Line – This greenway on the west side of the city is one of my favourite places to take a stroll on a weekend, ending at Chelsea market for a long lunch and endless food choices (try the Japanese Mexican joint to be mind blown as to how good fusion food really can be). Top of the Rock – Said to be the best view over the city and after checking out many of the city’s best views, I’d have to say I agree! This is a great place to start when visiting the city for the first time to get a perspective of how big Manhattan is. Bryant Park – The perfect place to perch yourself for a picnic lunch or to rest your feet after a long day walking the streets. NY Public Library – Pop in to the NY Public Library for a look inside the city’s history or to take a quiet hour away from the hustle and bustle of New York. There’s also a really great gift store inside. After a long day on your feet, one of my favourite things to do is to stop at one of the beautiful hotels near Central Park and fall into my chair for a long afternoon tea. 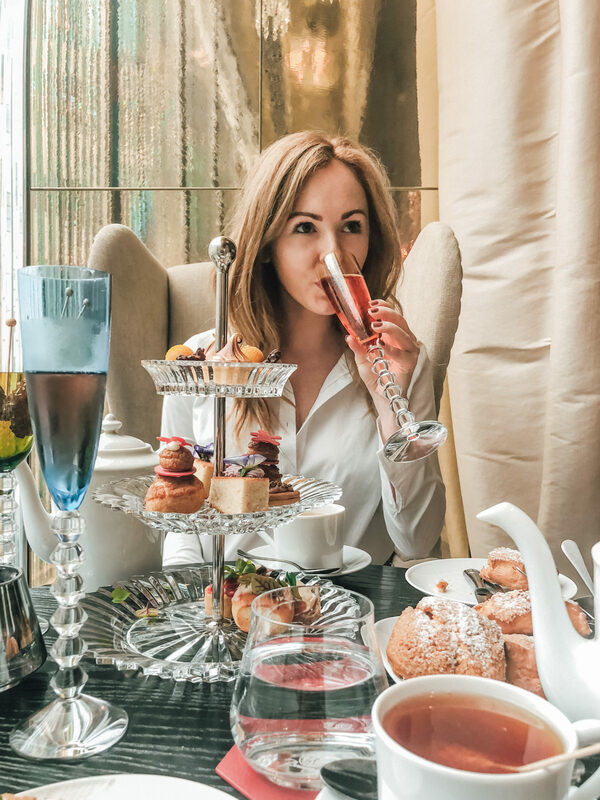 Despite this being a distinctly British tradition, the upscale hotels of New York have really adopted the art of afternoon tea over recent years and it has become an attraction in itself. 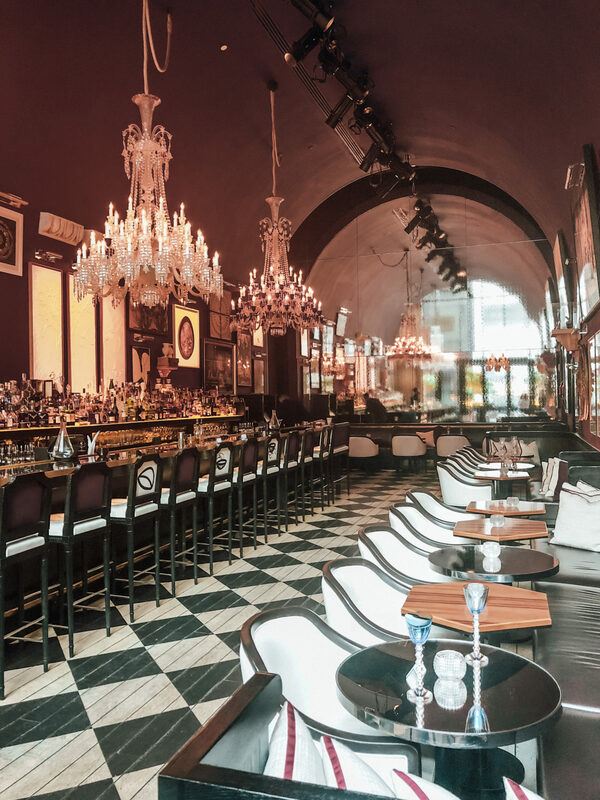 One of my favourite afternoon teas in the city is at the Baccarat hotel, whereby you can choose a themed tea (a classic British affair, Russian tsars theme with blini, or a Moroccan theme tea with Arabic sweets amongst others). As the sun sets over the city often my favourite place to be during gold hour is in Williamsburg, overlooking Manhattan from afar. 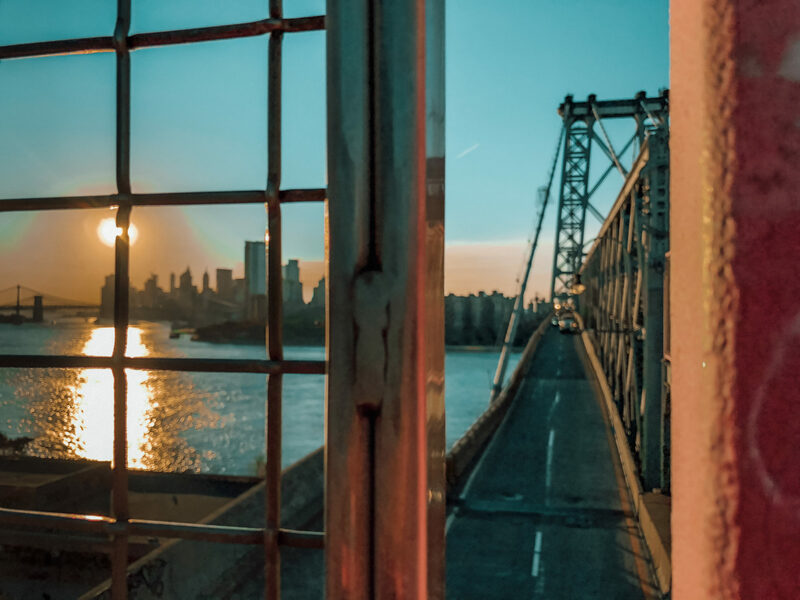 While you can easily catch the metro over to Brooklyn or even an uber, my favourite way to make my way over is to walk across the Williamsburg bridge and watch the sunset. Around the neighbourhood there are many great cafes and vintage stores, allowing for at least a few hours of exploration. 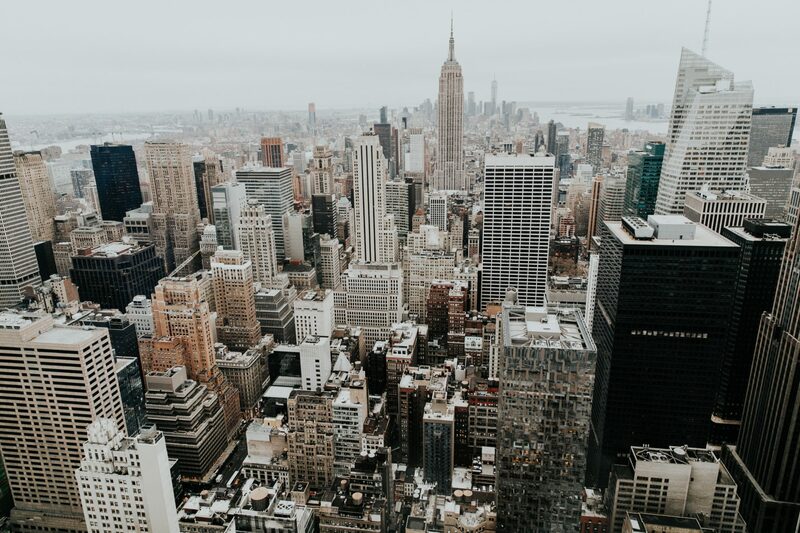 Back over in Manhattan there is plenty more to see and do – depending on how long your schedule allows and how quickly you’re making your way around the city! 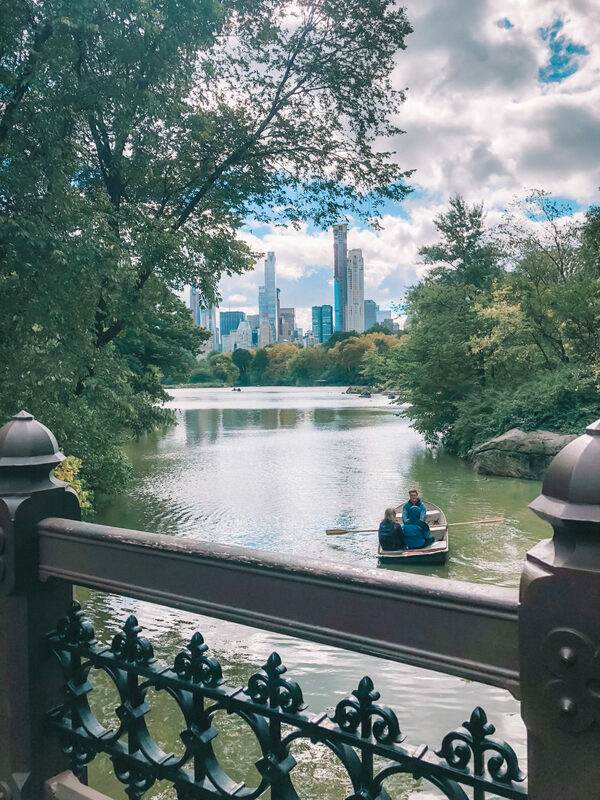 Another staple in every NYC itinerary is to visit Central Park, though once you arrive you’ll soon discover just how sprawling the park is and how it is virtually impossible to see it all (for the highlights, enter the park at the southern end and concentrate your efforts there). 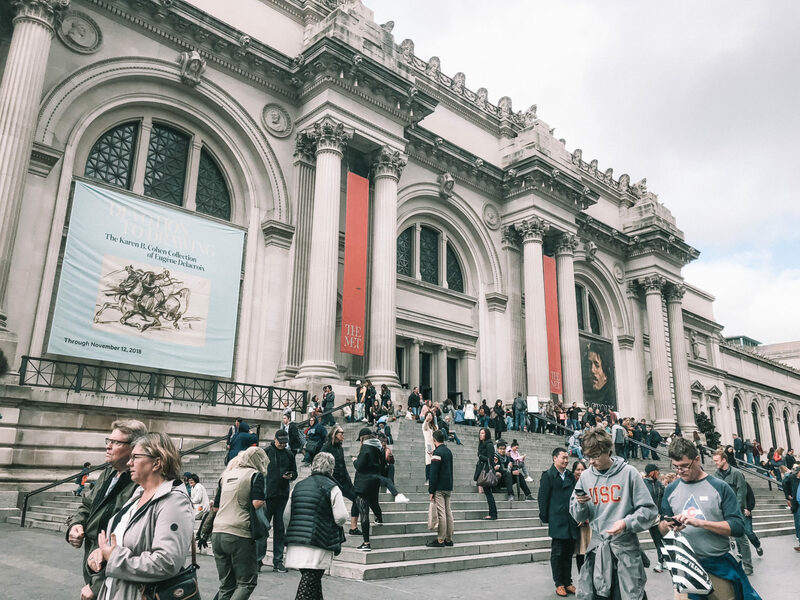 If you have more time or are looking to escape the weather be it hot and sticky or cold and wet, a visit to the MET is a great way to spend an afternoon. Over to you! 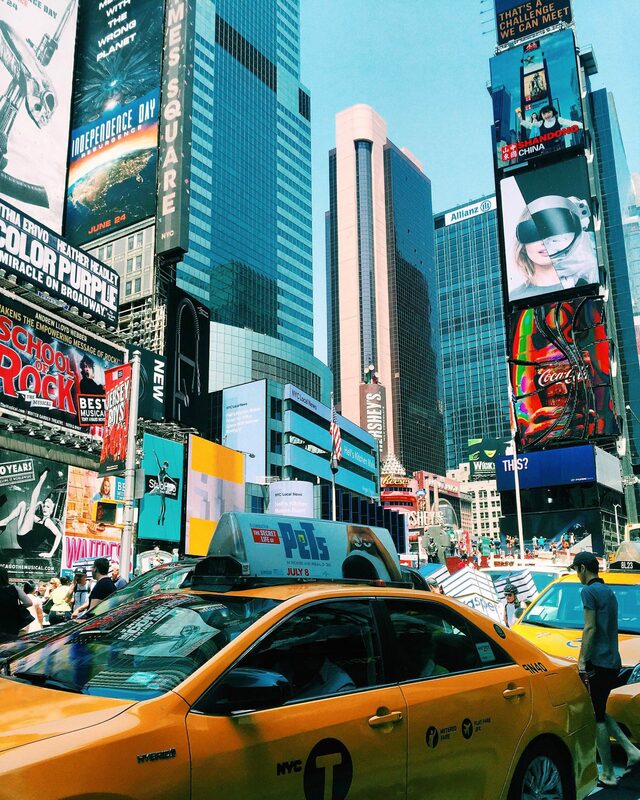 What are your favourite things to do on a weekend in New York City? I love this trip itinerary! I visited NYC for the first time with my boyfriend a couple of years ago and we saw all the major sights. But I like that this itinerary is a little more trendy – perfect for a girls weekend! Will definitely have to make it to New York again soon. And Beautiful is coming to Vancouver (my hometown) next year – you’ve totally convinced me to get tickets! This is exactly what’s on my mind every weekend. There also something we can add on weekends like, juice, hiking on out of the NYC.